The Financial Counselor Notebook contains everything you need to give direction and focus to your financial life. It helps single people stay in control of their finances, and it is an essential tool for organizing and sharing financial information between spouses. Financial advisors like working with it, too. This easy-to-use notebook contains over 50 pages of forms, worksheets, goal setting ideas, tax and credit card information, and step-by-step instructions that will bring insight and clarity to the difficult financial decisions we all face. The "Money Game" is much easier to play and WIN when you understand the rules. 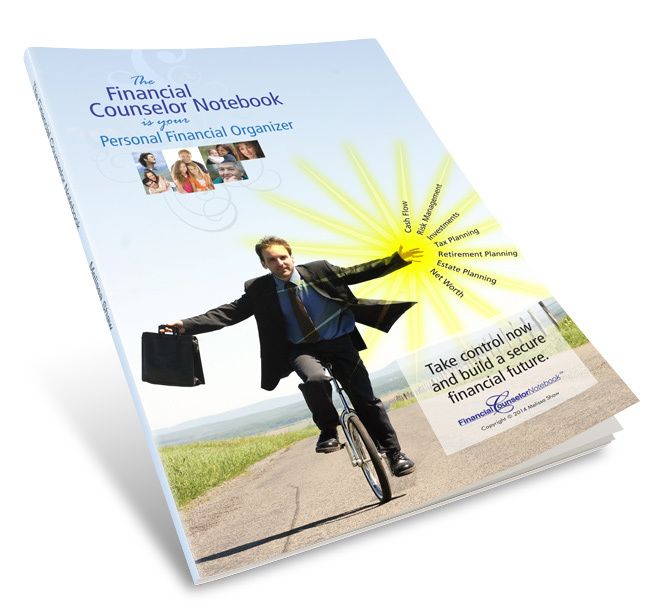 Order your Financial Counselor Notebook today. It's an excellent step toward being financially responsible.